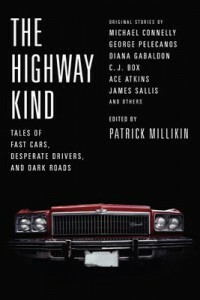 Anthologies of fiction by numerous authors. Usually these books have a common theme, and and the editor invites published authors to contribute. Collections of novellas and stories by me from the Outlander series of novels and the Lord John Grey series. Standalone special editions of a single novella or short story by me. This page is currently under construction, so please check back for new additions every few weeks! 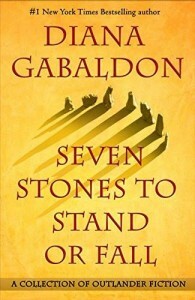 On June 27, 2017, a new hardcover anthology of seven novellas will be published in the U.S.A., titled SEVEN STONES TO STAND OR FALL. 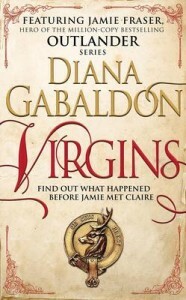 What this is, is a “Collection of Outlander Fiction,” as the cover states. 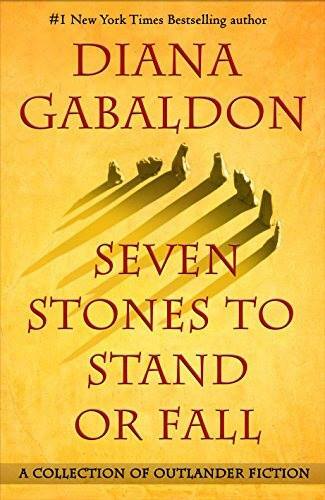 It’s seven novellas, all written by me, and all dealing with the interesting side-stories and lacunae of the Outlander universe. More information on SEVEN STONES. This page was last updated on Monday, January 2, 2017 at 4:23 a.m. (PT). Any comments or suggestions about this page should be sent to Diana’s Webmistress. This page was first created on Thursday, December 2, 2016.